Episode 14 features Tim Brown, founder of the game-changing shoe company Allbirds. 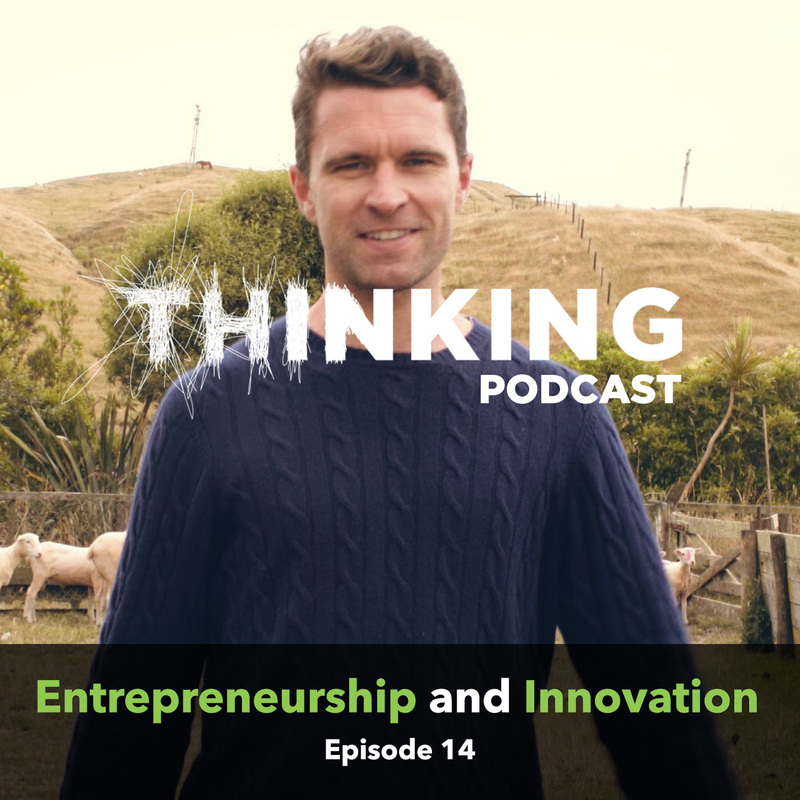 Michael and Tim discuss the nuances of entrepreneurship, innovation, and all things start-up! Michael: Hi, welcome to the THINKING PODCAST. We have with us a very exciting guest. We have Tim Brown, one of the founders of Allbirds, which is a shoe company, that we have here today. Check them out. It's a shoe company that's not only extremely fashionable, we're seeing it all over the place, we're seeing it in articles from fashion magazines to tech magazines to just on the train. We're seeing it all over the place. But also it has a really interesting mission and motivation behind the company. It's not just cool looks, there's a lot of ways that they're rethinking how they do business, how they build culture, how they build product. So this is an exciting opportunity to get into the mind of someone who we consider a great entrepreneur, and seeing how do they make their dreams come true. What do you do, starting from day one, through the present day through the future, to take a big, audacious goal and break it into smaller parts and get it done? So Tim, thanks for being with us today. Tim Brown:	Well, appreciate it. Thank you for having me. Great to be here. Michael:	So take us back in time when this was all just an idea for Allbirds, and what was that idea, and what kind of sparked it? I mean, you're a smart guy, there's a lot of problems you could be solving in the world, what was it about the problem here with Allbirds that you were really interested in solving? Tim Brown:	So I was back in my native New Zealand. I actually had a ... My previous career was actually in professional sport. I played soccer for nearly a decade, and I kind of had my afternoons free. I didn't want to play PlayStation and I was very interested in creating and branding and in making. I didn't grow up on a sheep farm. I didn't grow up with 300 pairs of shoes in my cupboard, but I think I saw an opportunity in footwear. I was sponsored by Nike at the time. Everything had logos. So I think this started off as a bit of a design insight, that you could create something that was unbranded, something that was better than a Chuck Taylor, and cheaper than a Common Projects. I knew nothing about shoes, but I set out to try and solve that problem. It was very much my problem, and I embarked on a ... I kind of, what in hindsight was a little bit of a crazy journey, to solve that. I found a factory in my off-season. I learnt how to make shoes really from nothing, and launched an initial product that started to solve that problem. And I think, as is always the case with these journeys, once you start trying to solve one problem, or ask yourself one question, there's a thousand more that pop up, and that's what happened for us. Michael:	What was the initial vision of what the company and what the product would be? Tim Brown:	I mean there wasn't a great one. There was, in my particular case, I had the virtue of time. So I was not building this thing to pay my rent or ... It was really about scratching an itch, about satisfying a curiosity, and I set out to see if I could make something. It just so happened to be that I started in shoes, and we made a shoe. We sold a shoe, we learnt a ton. I was working largely with my brother at the time and a buddy that I played football with, and it was completely amateurish. But we started, and I think sometimes, like when I look back, a lot of times people see problems, they think about solving them, they talk about solving them, but oftentimes, just beginning is the hardest part. I look back now, and there was no real plan behind it. It was just a curiosity project. Michael:	Okay. When did it feel real for you? When did it go from, "Okay, this is a cool idea" to "Okay, this is real"? Tim Brown:	Yeah, so fast forward a number of years, we realized that the footwear industry hadn't really changed for hundreds of years, that a lot of things were just done the way they were because that's how they'd always been done. We were really fascinated by the idea that natural materials were largely ignored by the footwear industry, who seemed to default to cheap synthetics and nasty leathers. And really kind of over a period of time tried to sort of work out if there was a better way, and through that period there was kind of a little bit of a seminal moment, because we got excited by the idea of wool and comfort, and what that might be able to be, and were again curious as to why wool had never been used in footwear before. While I was still playing football, I applied for one relatively sizeable research grant to basically solve that problem. New Zealand is the land of many, many sheep. In the 70's there was 70 million, now there's less than 30 million, and the wool industry's like crying out for innovation, and we seemed to just at the right time tap into a little bit of a need for new markets and new uses for wool. Michael:	So everyone's just like, "We have all this wool. We got to figure out more uses for this wool. If we could eat this wool, we would do that." Michael: The New Zealand government has grants to figure out how to find more uses for wool? Michael:	How did you get to the stage of launching on Kickstarter? Tim Brown:	I mean, I got to the end of my grad school and I was like, "Look. What do I do now?" I had definitely some strands in my life, and some thoughts about the next stage of my career. I was 33 and I'd never had a proper job, in my mind, and what did the rest of my career look like? I had this business idea and was encouraged just to give it a go. And, again, sometimes you overthink that first step. I think in New Zealand and England, that first step is much harder culturally. In America, everyone embraces. "Go and have a go. What's the worst that could happen? Failure doesn't matter." Michael:	We always call that a good problem to have, but then we always follow that by saying, "But it's still a problem." Michael:	So you already had the ... Like the design's already locked in. I'm just going through the order of operations, for anyone listening. So you knew what the shoe was going to look like, you knew what was cool about it, you knew the selling features, you knew roughly how you would make it at scale. You'd figured out a lot of that. So you put in a lot of work without knowing if anyone besides your mom ... I mean, I'm sure you talked to people, and you still thought it was a good idea. But in general, you didn't know if this was going to be a million dollar idea or like a $5,000 idea. You didn't necessarily know until you put in the work, and then validated it on Kickstarter. Michael:	Which you were on Kickstarter, yeah. Tim Brown:	Yeah, and I had a clear vision for what I was trying to achieve, and I was designing effectively for myself. I was trying to solve a problem for myself, and I think the Kickstarter validated that there was more than just me that had that problem. I think it very quickly transitioned to the challenges of supply chain construction and building for scale and growth and quality, and all the challenges that anyone who tries to make something runs into. It was just awful. It was incredibly hard. I learned a ton. All the bad times that create good lessons, and then sort of kind of got through the end of that year, and was like, "Look, this has been a great adventure. Is this a business? Is this a larger idea? What does this mean? What are we trying to do? What's the larger underlying mission here? For me, personally, and can I achieve it or is this just a kind of one-off thing?" And I met my now co-founder. Our wives are best friends, they went to college together on the east coast, and he's from San Francisco. Very, very smart dude. Engineer, business school guy who'd worked in the renewable materials space, Joey Zwillinger. He kind of came together to take on the half of the business that I was not doing very well. It was just one of those perfect sort of partnerships and perfect moments in time to kind of come together on this. And we did. We decided that this wasn't just one shoe or product, that there was a huge opportunity to build a sustainable brand in the footwear space, that there was a huge paradox that existed in fashion, really, that if you ask 100 people in the street, 99 of them care about sustainability, and then when it goes to buy stuff, it goes out the window. We saw a really big opportunity to sort of bridge that gap, to change the way people perceive sustainable products, and that was kind of the underlying idea that we came to consolidate around. We raised a round of money in August of 2015, and re-launched, essentially, the brand as Allbirds on the 1st of March this year. Michael:	And then, from a fashion perspective, I think that's something that we haven't talked yet about, like the idea of using wool, the idea of having a renewable source for materials, something that had been not looked at. But let's talk about the fashion for a second, because I think that there's something really interesting going on with Allbirds. The other day, my co-founder Geoff, he has the all white ones, and we were on the train. We see someone who couldn't be more demographically just different. Here was a blonde woman. Geoff is Asian-American, and they couldn't be more different corners of the fashion world, but she's completely dressed differently, totally everything different, but then at the bottom, same white on white Allbirds. It was a funny moment, because it's like two completely different ... Everything else they're wearing is totally different. Their entire image is all completely different, and then they're wearing the same thing. So what is it about the brand that you built that's got that kind of cross-over appeal where you don't see that often. Usually there's men's shoes, there's women's shoes. There's men's apparel, women's apparel, and they're different things. What is that you've ... What is the thought process that's gone into it to make it have that type of cross-over appeal? Tim Brown:	Yeah, it's a great question. Look, I mean, I think maybe it helps to give a little bit of a sense of how we view the footwear industry. There's the sports performance space, where Nike and Adidas make great products for their athletes down in Rio and it's about innovation and shaving grams of weight off shoes and smashing Olympic records, and it's pretty incredible what happens there. I think if you look at the other end of the spectrum, there's the fashion industry, and that's about catwalks and styles and high price points and trends. That's hugely interesting as well and inspiring. And we don't play in either of those segments. Right smack, bang in the middle is what we call kind of the Footlocker world, the casual footwear market, which is a little bit of an afterthought for both the fashion brands and for the sports performance brands, and it's where Nike still sells a bunch of product. They sell sneakers stamped with a swoosh, made in Vietnam but it often is an afterthought for these companies, and it's not where the innovation happens. It's certainly not where a lot of thoughtfulness about sustainability happens. Then kind of the final piece for us, is there's not a lot of focus on really the number one reason why people buy casual footwear, which is comfort. And so we saw a big opportunity to create a brand idea that had meaning, that solved that particular problem. We started with the sneaker, and when we started with the sneaker, it wasn't about offering 1,000 shows or 16 styles and changing it every week with multiple colors. It was what was our perspective on the problem, and how could we solve it with one product? And so it was all about distillation. We distilled it all down to its simplest form. When you look at our shoe, aside from really one detail that is a little flourish, you couldn't take anything away. There's no fewer seams. We're breaking a whole bunch of rules in the way shoes are traditionally made that we didn't know we were breaking until recently. It's about a utility, so I don't think about our brand as a fashion product, although there's a fashionable element to it. I think about us as solving a problem around comfort and movement and getting your friend and your CEO from work in the simplest possible way, to have a choice when he wakes up in the morning that is a non-choice. There's just a shoe there that is there and functional and delivering on its promise, and it's comfortable. So I think that that's allowed us to sort of whisper possibly, when lots of other brands in the footwear space, and there's many of them that are screaming. Michael:	It's interesting what you said about, a lot of what you've done is design the shoe for yourself, design a shoe that you really want to see in the world. I think that's a common trend we see around a lot of innovators. Like Mark Zuckerberg made Facebook because it was the platform he wanted to have in college, and there's a lot of innovation that happens when people ... It's autobiographical in that way, where people design something that they personally want. There's also innovation that happens very differently, that happens, you know, listen to your users or try to find a problem that's out there and try to solve it, and listen to what people want. They're both important, and every ... There's no right or wrong way, I would say. My question to you is, how do you find the balance between listening to your own convictions, your own vision, versus humbly listening to users, hearing what they have to say? And how do you make decisions there? Tim Brown:	Yeah, it's again, it's another really interesting question. I mean, I think it's probably important to clarify that sometimes when people talk about instinct or gut feel, it's sometimes, certainly in an entrepreneurial context or a design context where I was trained as a designer when I went to university ... What you're doing is effectively taking 1,000 data points, observations, thoughts, glimpses, an article from the New York Times, something you've seen, a whisper you've heard in an elevator, and you're taking all these data points and you're synthesizing it into a sense or a feeling or a point of view on something. It's really powerful, and I think if you listen to it, and you develop it, and you cultivate it, and you trust it, I think it's the best sense or direction that anyone has. I think oftentimes, people shut it out because they're too analytical or they're looking for more of a database sort of explanation. And that always has a place, but I think that personal instinct is a very, very powerful voice that we have, and it's oftentimes incredibly complicated and analytical in its own way. Michael:	That's interesting. Yeah, that's very interesting. There's that sense of, "Oh, in order to know what the user wants, we need to do user research, we need to create the personas, we need to be very analytical, we need to survey people, we need to see what exactly the market wants." That has its place, of course, but what I'm also hearing from you is that with the right person on your team, or you could be that person too, you've talked to 1,000 people, you've had ... Just through day-to-day life, through life experiences, you've empathize with countless, hundreds of thousands of people, you've thought about this, read the article here, seen the blog post there, and then when you sit down in the room, you kind of represent that mind share of what all those people were thinking, without having to explicitly go talk to them. Granted, I'm not poo-pooing the idea of ... Go talk to users if you're running a company, if you're in design, go talk to users. But that there's someone very powerful about that type of person who's just so in touch that by being in the room, you kind of channel what the zeitgeist is and what people want. Tim Brown:	Yeah, it's the power of curiosity, and I think oftentimes what we talk about in our team is sort of the why behind the what. You can ask someone what the problem is, they often won't tell you why. So often observing, understanding the question that you're answering, understanding the right time to ask that question. I sort of think when you're innovating, there's a time to be really open and there's a time to be closed. And I think, even when we're developing new products, as we're intensely doing at the moment, there's a time to keep that with our tiny, small product team, and to not ask for input, and to trust our instinct, to be quite selfish and incredibly focused with the vision that we have, and trying to achieve it in the best way that we know how. It's a classic case of where consensus can ruin an idea, where multiple voices are not welcome. Then there's a time, oftentimes when you prototype something or you're in the early stages of understanding what something is, that you need to open it up to the world. Tim Brown:	Yeah, and take all the feedback that you can possibly get, and the punches that come along with it, and really listen. Not just listen to what people say, not the what, but really understand the why, of why they're saying that. That can be really, really tough, but I think you need to understand those two things as distinct phases. You need to be very, very closed in the early stages, often when you're incubating something, when it's precious and fledgling and probably, and oftentimes, crazy. Then you got to open it up. I think I have this wonderful cadence with my co-founder who's an engineer, who looks at everything with incredible rigor, and he gives me the absolute best feedback of anyone when it comes to evaluating a solution. He's in some ways, and I say this to his face, I say, "You're kind of the worst guy to have around when an idea is very esoteric and makes no sense." Because he's so smart, and equally, I'm the worst person to probably have around when we try to solve a quite analytical supply chain problem. Tim Brown:	Yeah, I'm jumping steps. I mean, I think it's one of the reasons why our partnership is so strong and so powerful, and why we've been able to, I think, achieve things that either one of us could not maybe have done. But I think it speaks a lot to the innovation process too, of having this ability to kind of close it up and open it at different cadences. Michael:	Yeah, and one thing I would also say, so you're saying close it in the beginning when it's fragile, open it up when you're getting feedback. I think there's also this closing that goes on when it's time to make decisions too. You might brainstorm, get a bunch of ideas, this person said this thing, this person said this thing, bunch of cool suggestions, and then you kind of have to coalesce it back down and refine it from ... Look at all this feedback that we've gotten. You have to somehow match that against, you know do you want to do the more expensive thing that's nicer, or the less expensive thing that's going to mean more people can have it? And there's something like that, that a lot of times would be a judgment call. Tim Brown:	Yeah, and look, I mean if you look back at the arc of achievement, there's no secret to that. It's just the courage to do that time and time and time again until you get it right. The wool runner product that we've launched is ... There's no secret to it. It's hundreds and hundreds of variations of initially thinking there was a performance element to it, of taking a long time to understand the sort of power of comfort and what that meant. Price points that we experimented with. Really, deeply understanding and empathy for the users and the problem that we were solving. I mean all that stuff, there's no secret sauce there. It's just courage and tenacity and the ability to kind of not rest. Usually, if you're prepared to keep going with something like that, eventually you'll get there. And I mean, I know that's a cliché but if you look at the arc of achievement, i mean, even when I look back on my football career, a good chunk of it wasn't great. Then you get to the World Cup and it looks fantastic. So I think it's the same thing here, and I definitely ... I think there's huge parallels with what I've previously experienced in sport and what we're going through here. Michael:	Well Tim, feel free to give us any parting words, I mean where can people find you? I assume here at Allbirds.com, anything else that you wanted to add? Tim Brown:	No, just thanks for having us. I mean, I sort of think if you're starting something, building a business, as you well know, is one of the hardest things you'll ever have to do, and it's also the most rewarding. I'm just having a great time. Plenty of things that we could be doing better, and a long way to go, but so far so good. So I just think that ... The more I get into it, I just ... Anyone who goes and has a go at doing something, it just takes courage. Whether it's a success or a failure or whatever level it gets to, good on them for having a go. Michael:	Just want to say to everyone out there, thank you thinkers for listening in. You can check us out on YouTube, SoundCloud, on the Google Play Store, and also, of course, iTunes. So thanks for listening, and let us know any questions. We love getting questions from you. See you next time.